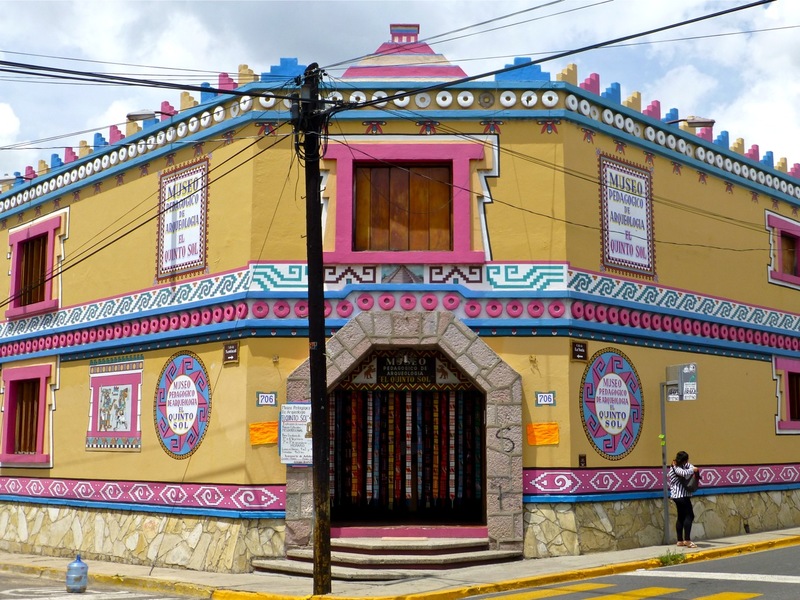 Oaxaca is one of the most child friendly places you will ever visit. Kids are welcome most everywhere — it’s part of the culture — and there is much for them to see and do, including El Quinto Sol, an archaeological museum for children. I’ve been meaning to write about this colorful, yet hidden, gem since a friend and I discovered it in 2008 on an early Sunday morning ramble. It was closed for remodeling, but we managed to peek in and vowed to return. Of course, we didn’t write down the address or name and all I remembered was that it was somewhere south of the zócalo. It took several expeditions once I moved to Oaxaca before I found El Quinto Sol again. By all means, pay El Quinto Sol a visit — even if unaccompanied by a child. I love this. That place looks amazing and I love the toy store. It is an amazing place — both the museum and the toy store are treasures! How have we missed this? Always another reason to return to Oaxaca!! I can’t believe it’s such a secret.